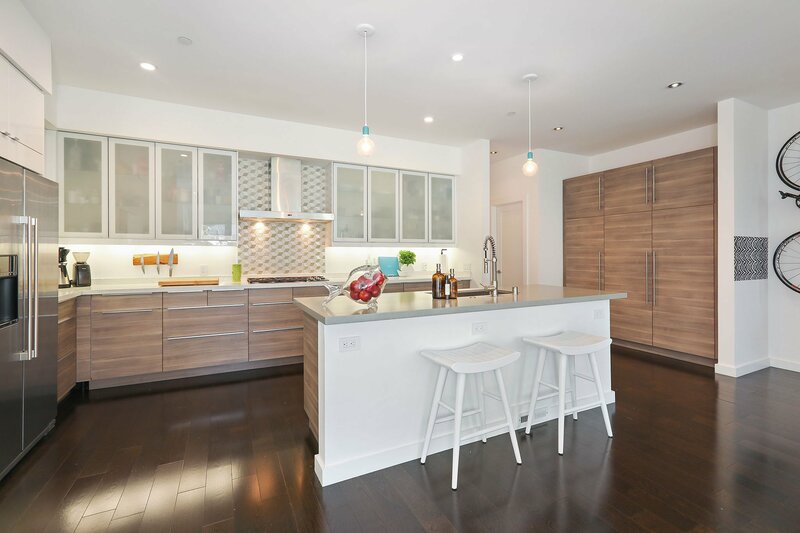 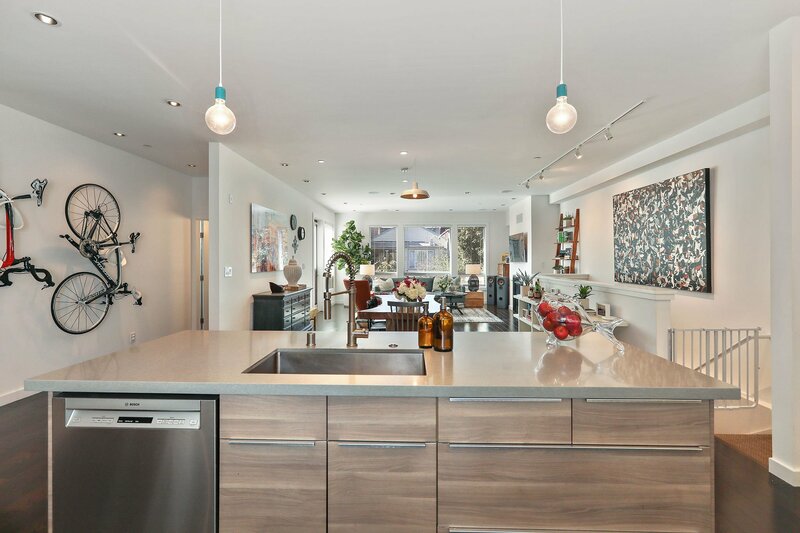 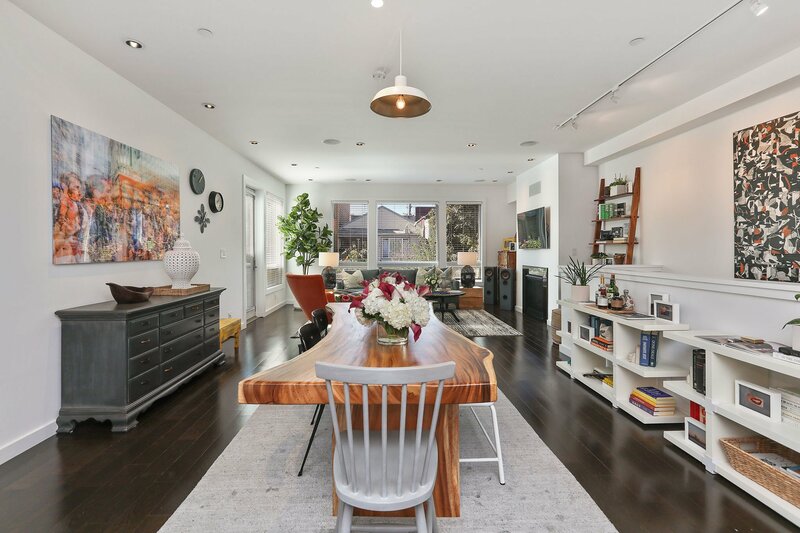 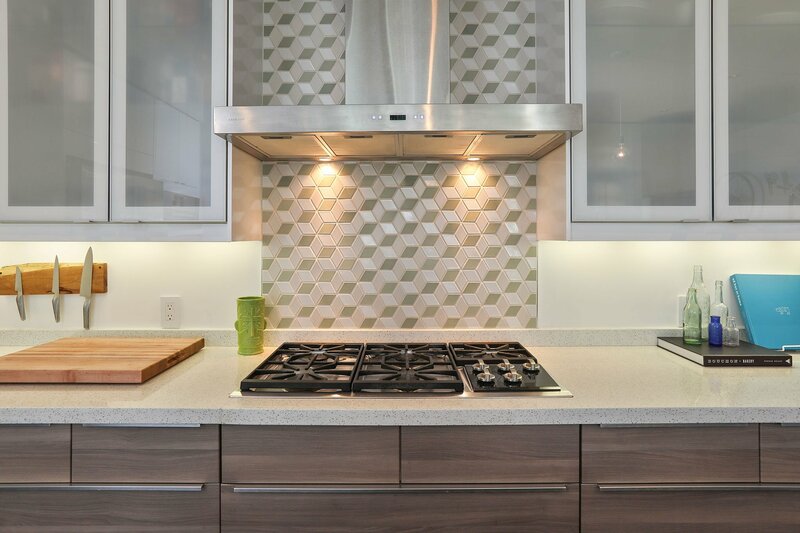 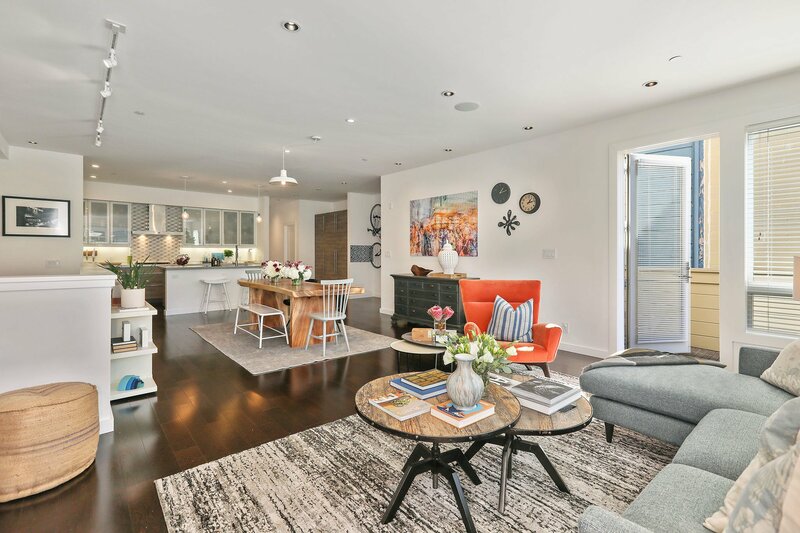 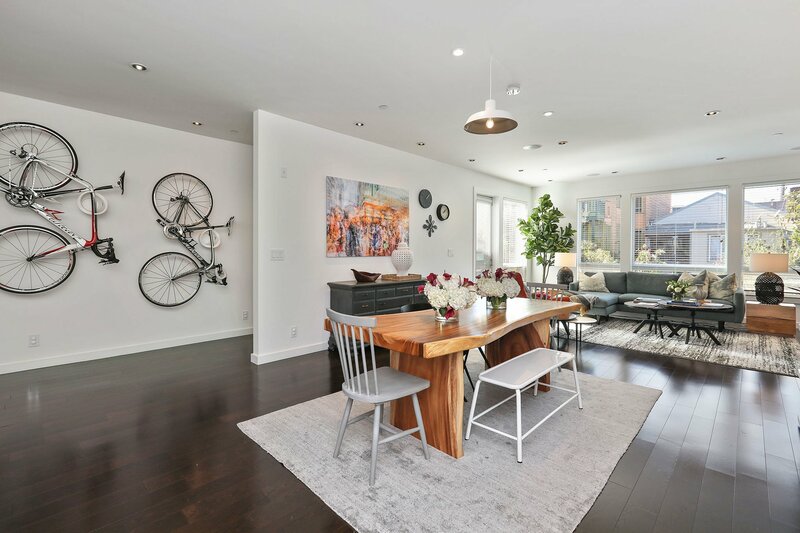 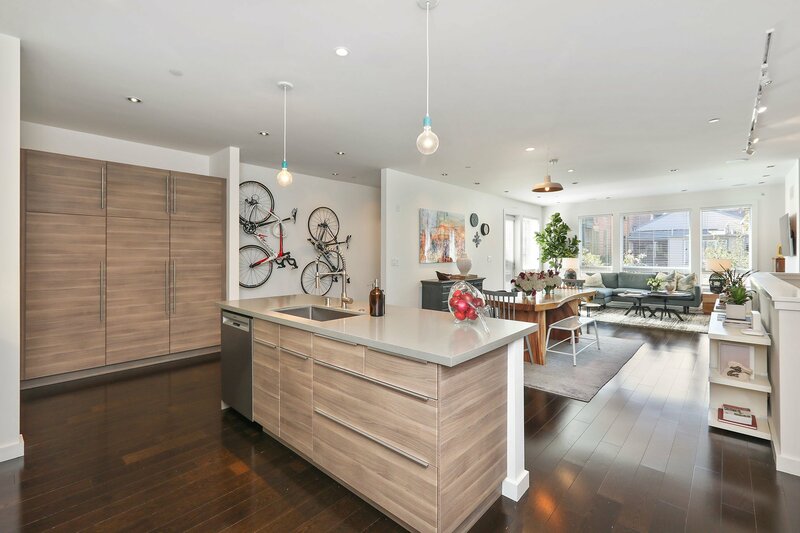 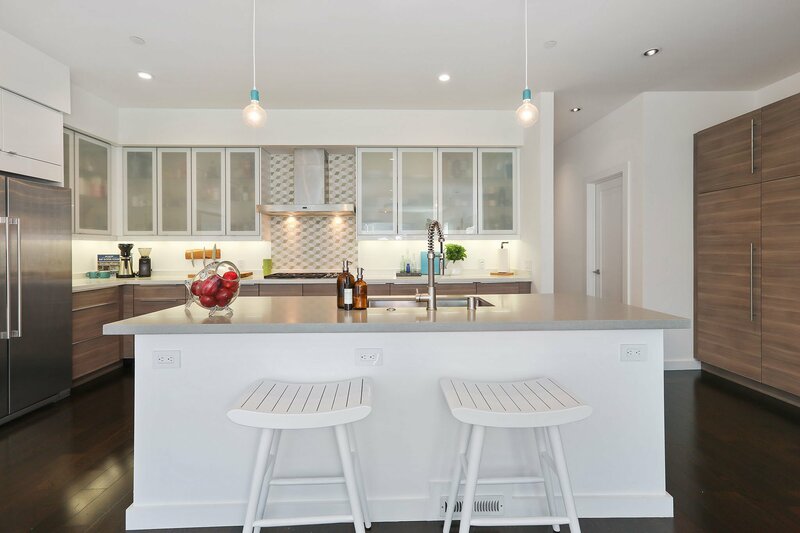 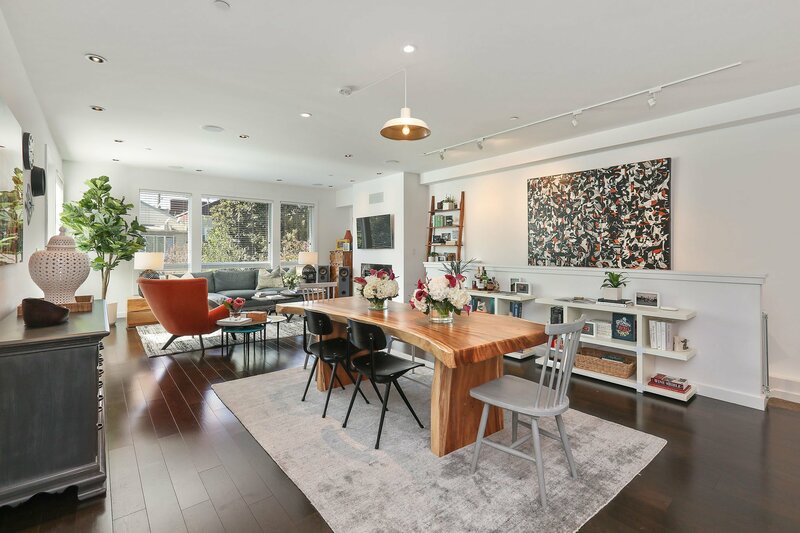 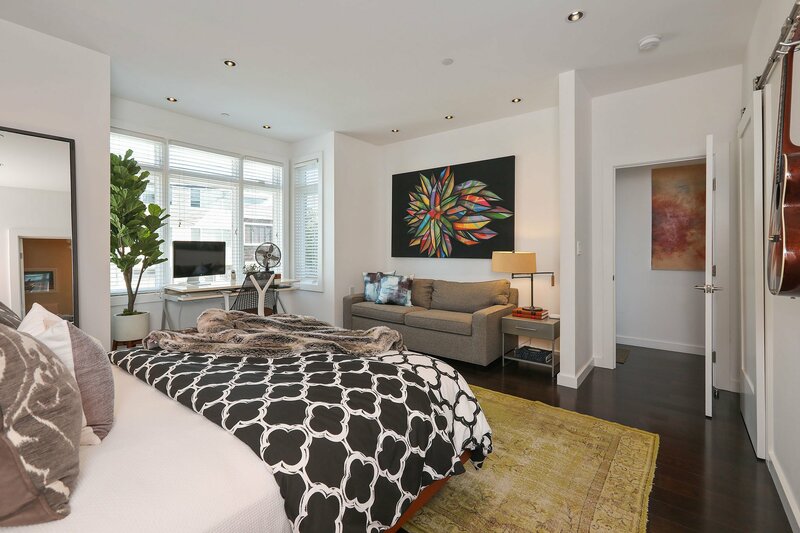 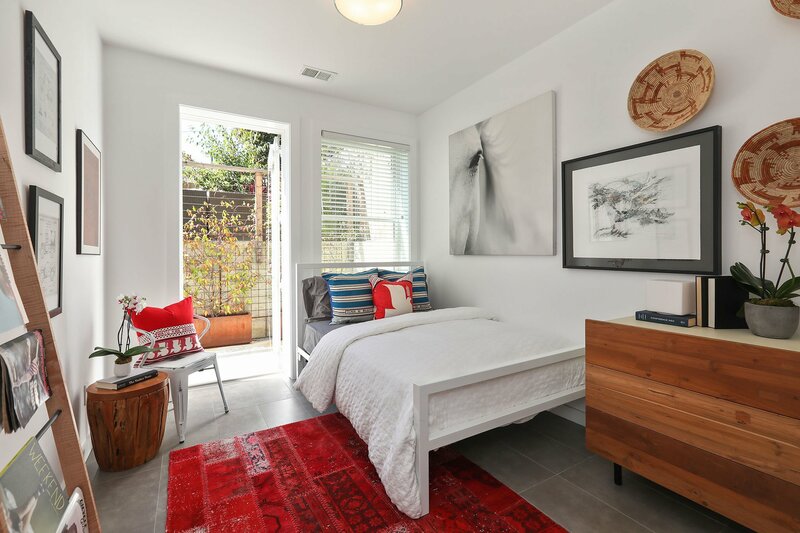 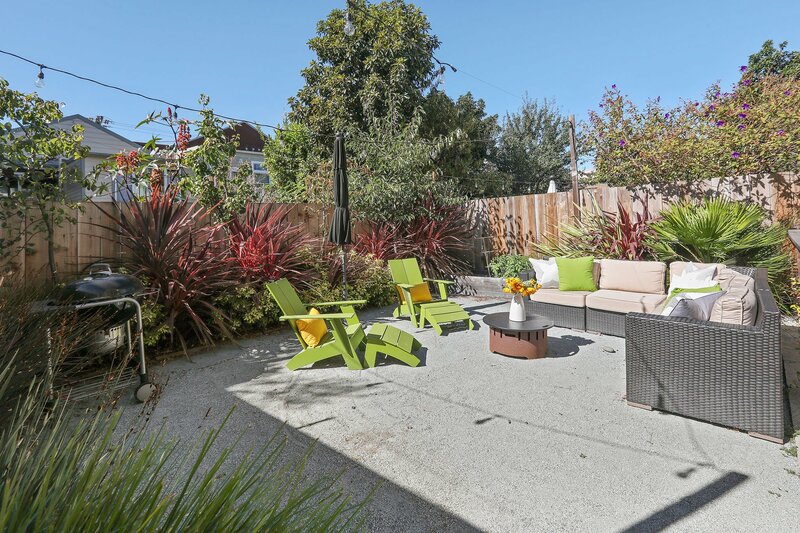 New in 2014, this pristine house-like condo is located on a quiet block in a two-unit building in the Inner Mission, offering contemporary living with exquisite designer finishes, and a large exclusive-use garden accessed by both levels. 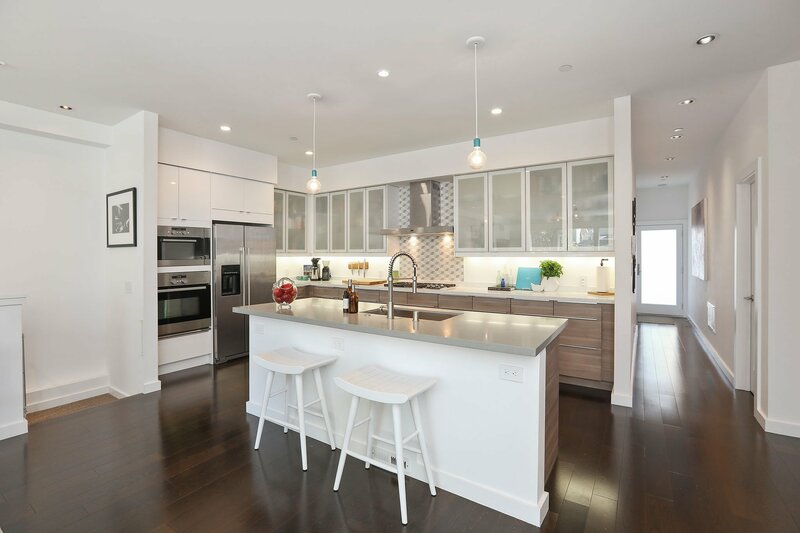 The main level has a grand-scale, open concept living/dining/kitchen area, featuring a gorgeous chef’s kitchen anchored by a large center island and built-in pantry for efficient storage. 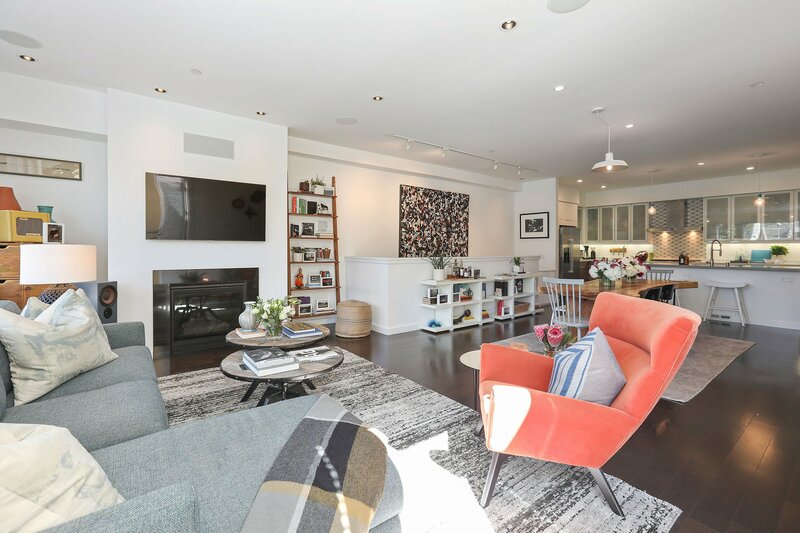 The cozy living area with gas-burning fireplace offers access to the lush outdoor garden, making it effortless to host and entertain. 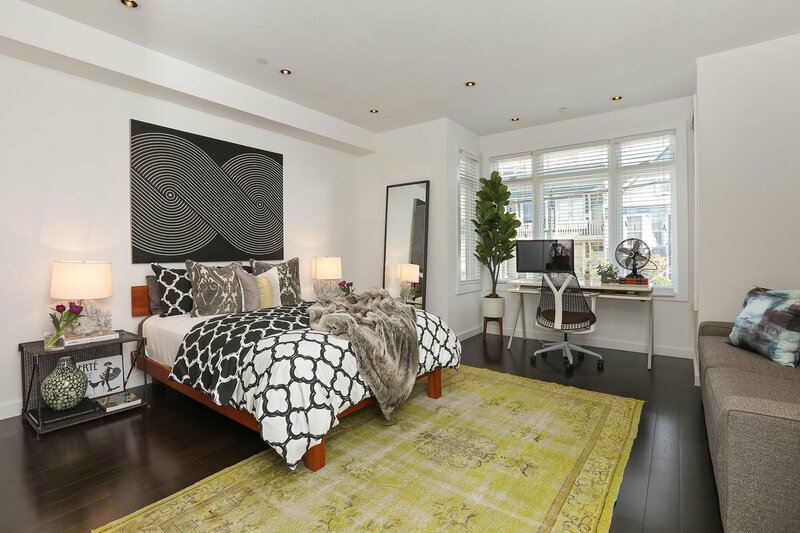 The spacious master suite completes this level, with walk-in closet (a fashionista’s dream! 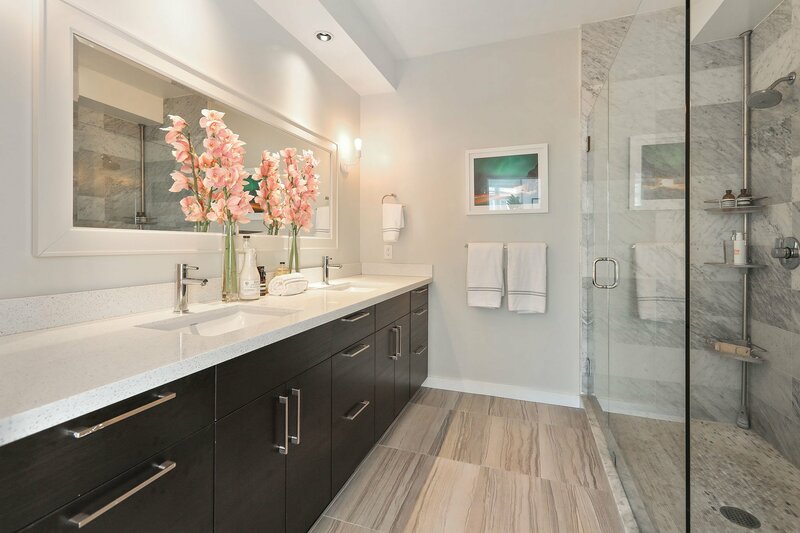 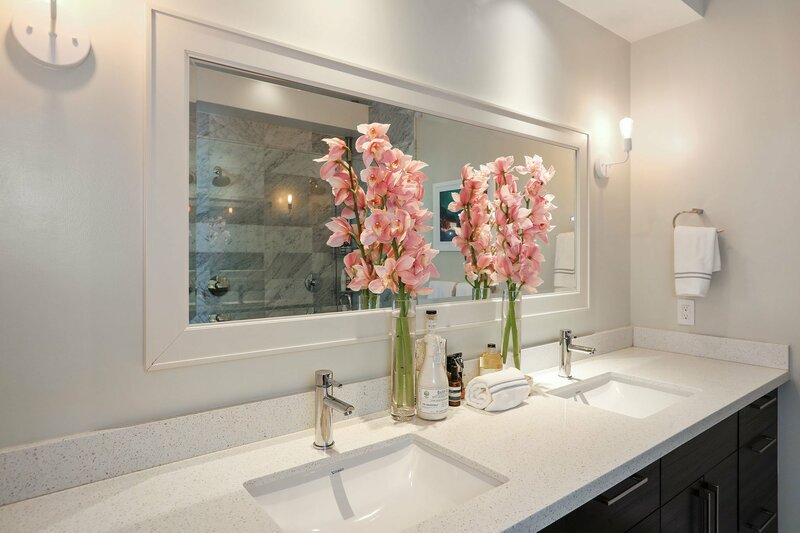 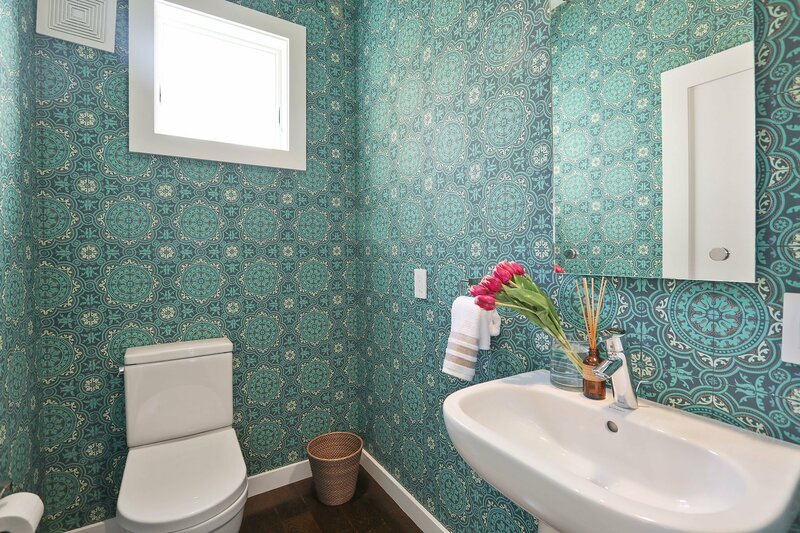 ), and luxurious en-suite bathroom with double sink vanity. 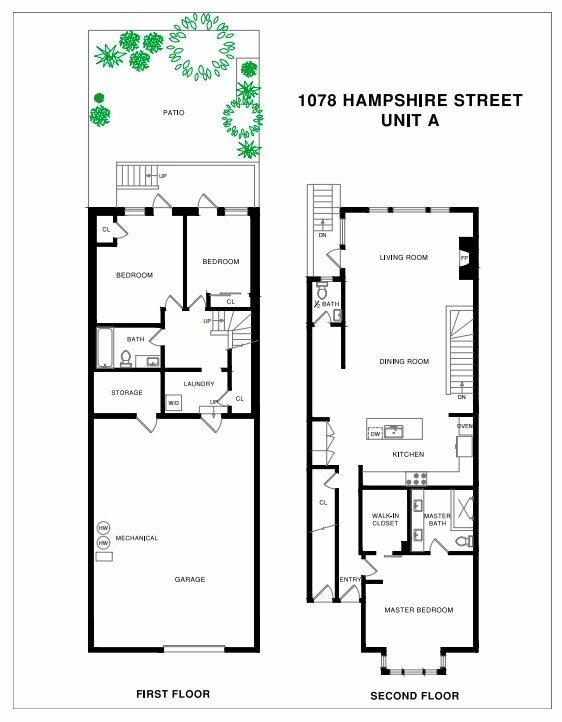 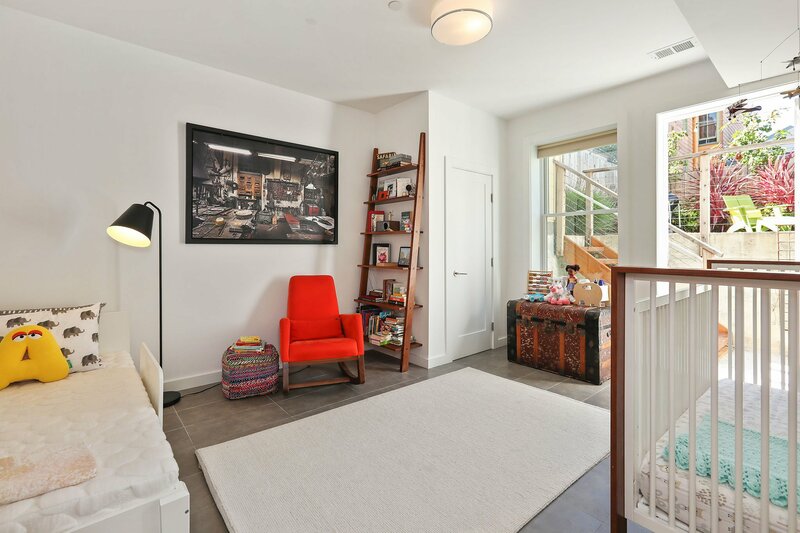 Two additional bright bedrooms with tall ceilings are located on the lower level, each with access to a rear patio area leading up to the yard. 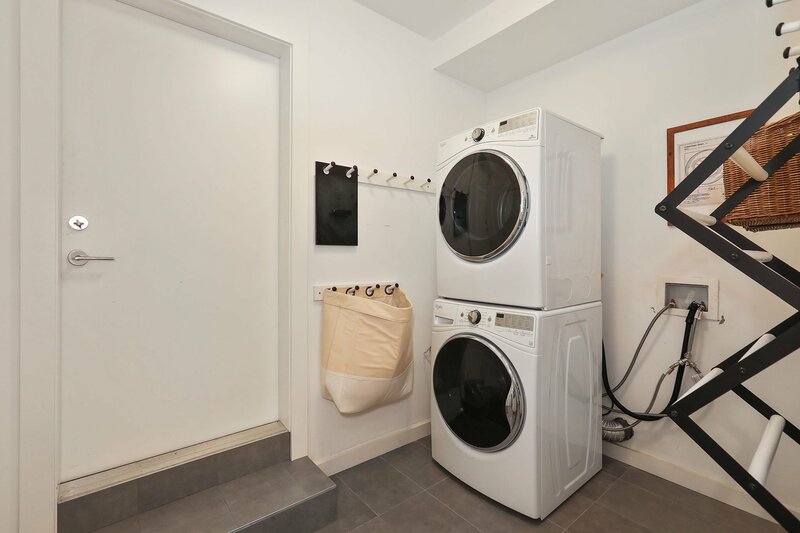 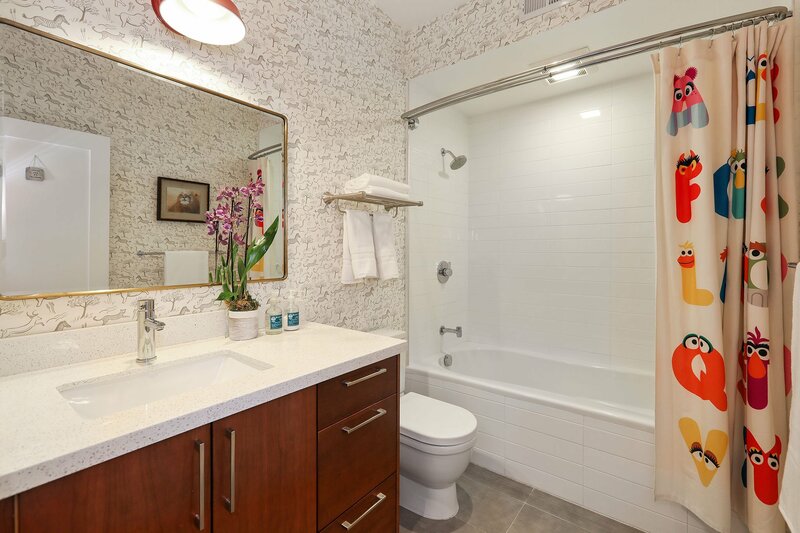 Another full bathroom with tub, interior garage access, and laundry room are also located on the lower level. 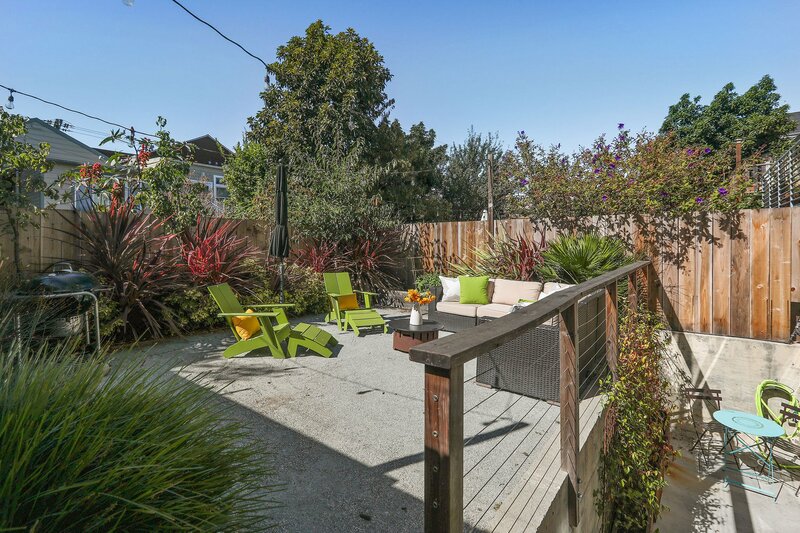 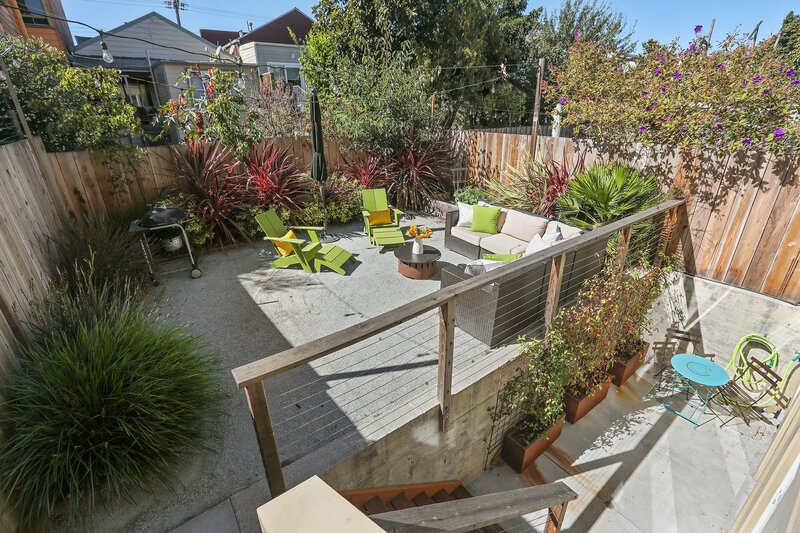 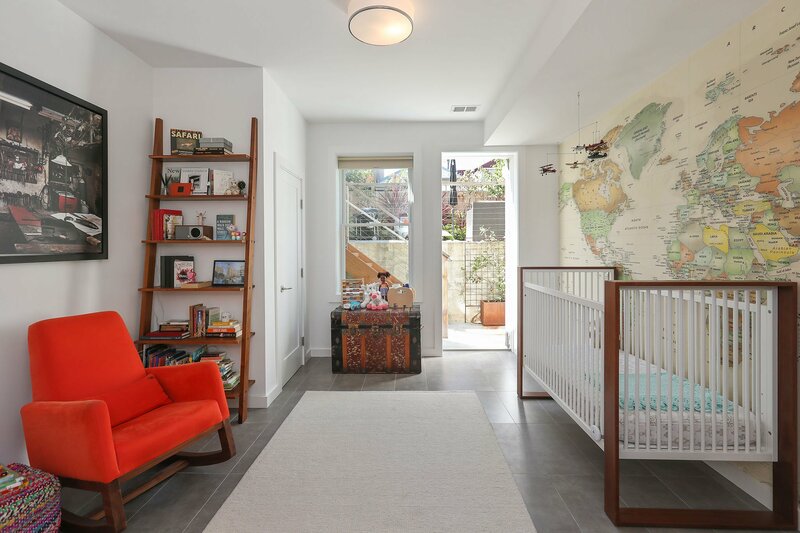 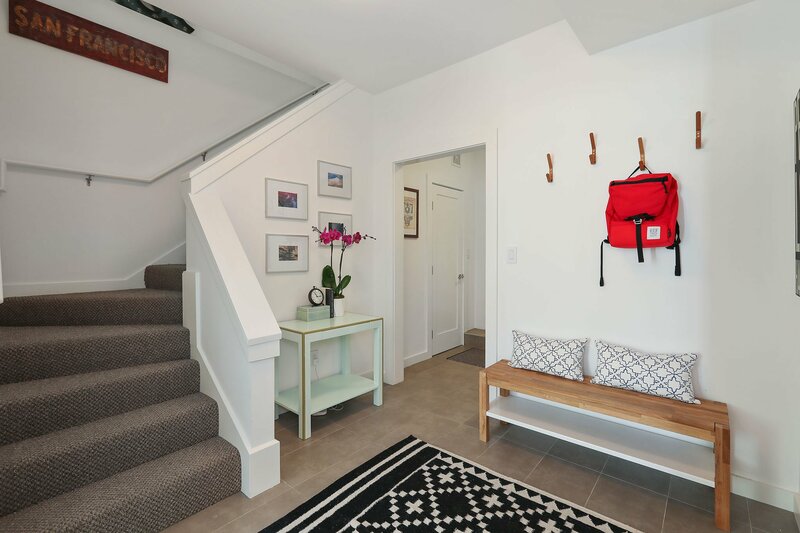 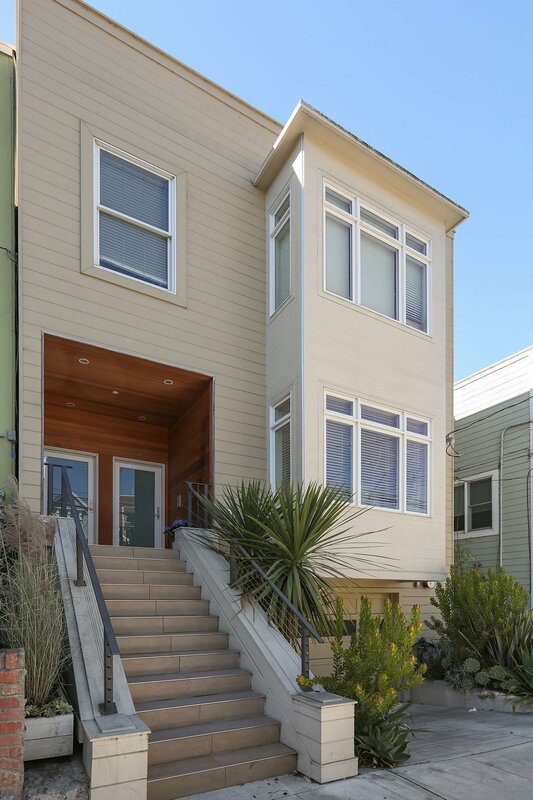 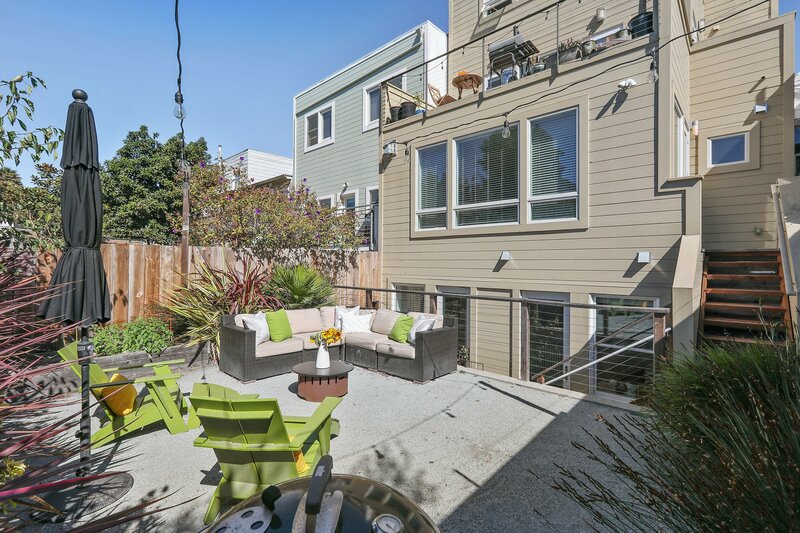 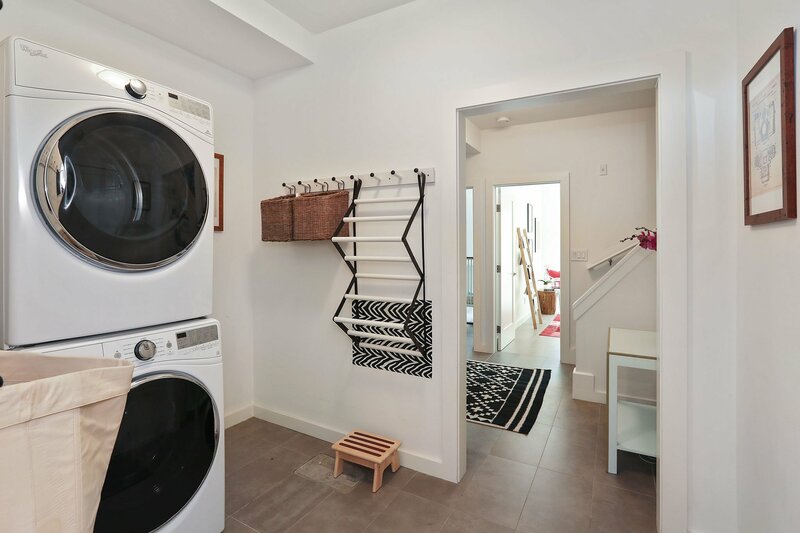 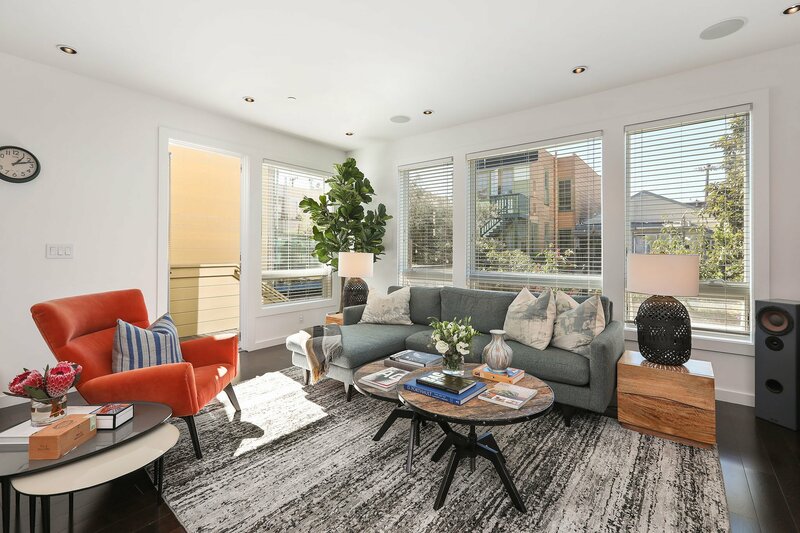 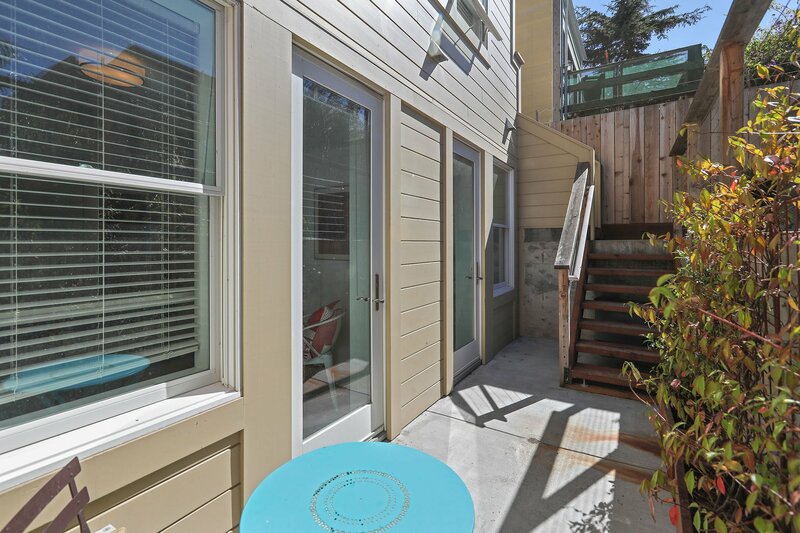 This turnkey home offers great privacy, convenience & modern living in one of the hottest neighborhoods in San Francisco with the best weather. 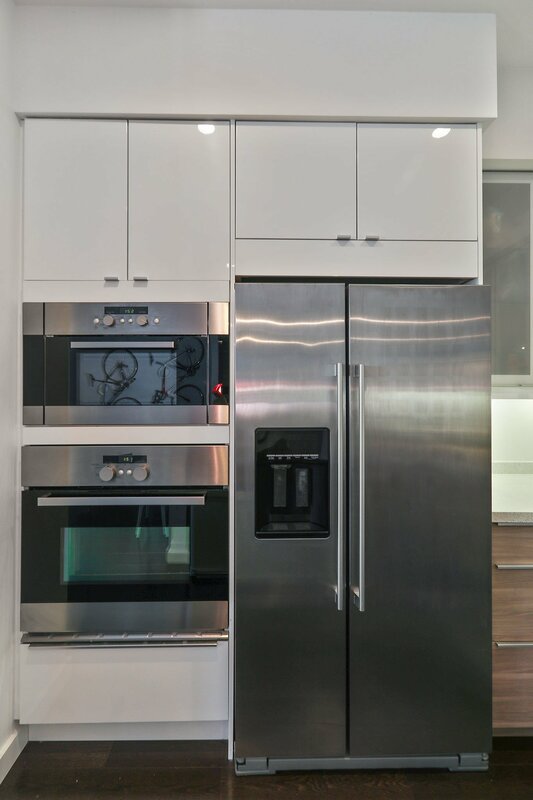 Combined with excellent storage and Nova Designs + Builds quality finishes, this offering is simply unbeatable! 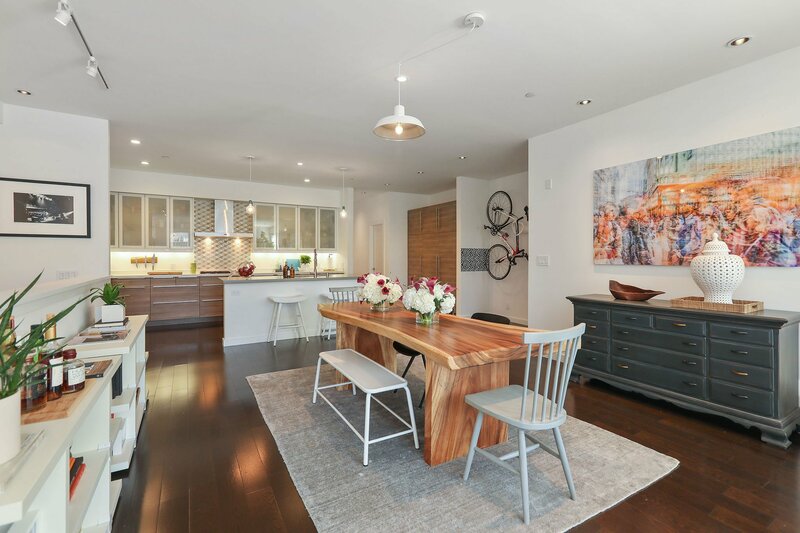 Only a short walk to world-class eateries, including Tartine, Central Kitchen, Trick Dog, Flour & Water, and amenities like Gus’s Grocery, Whole Foods, and Mission Cliffs. 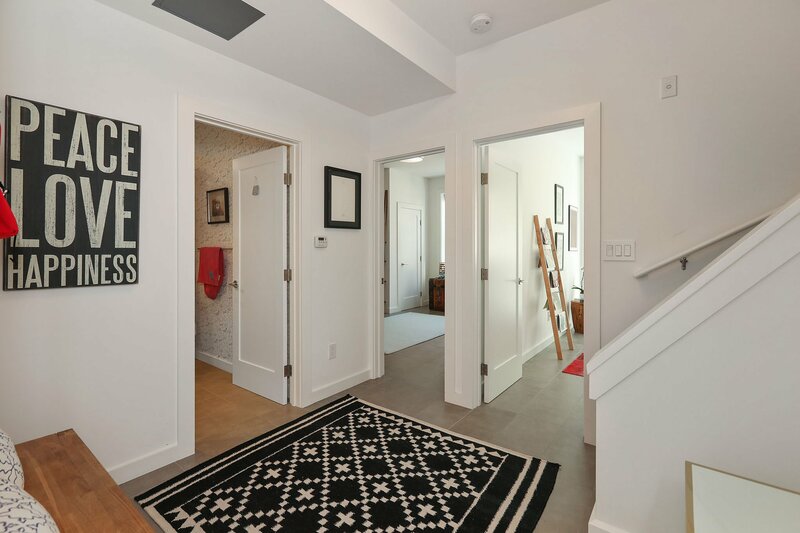 Easy access to downtown and tech shuttles and highways.